Semarang, The capital of Central Java, is situated on Java’s northern coast. The Northern part of the city is lying across on the plain coast and the Southern part is on the hilly side. From the economic sector, Semarang has a large contribution and become a business center in the trade and industry sectors. No wonder many visitors come for business or leisure because of the combination of its landscape and economic growth. Many different ethnics living in this city make Semarang rich in delicious and varied culinary choices. HA-KA Hotel Semarang situated in strategic location and just a walking distance from Simpang Lima. Ahmad Yani International Airport can be reached by only 20 minutes drive and we also located very close to government offices and city’s economic center. Facilitated with four fully equipped meeting rooms and high-speed internet access, HA-KA Hotel Semarang is really suitable for your business trip. 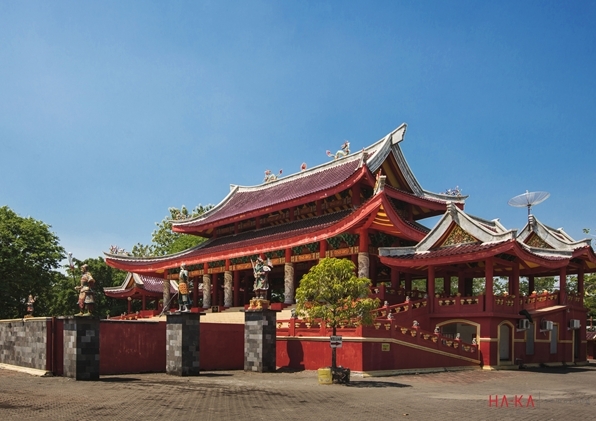 For your leisure trip at Semarang, Lawang Sewu, Sam Poo Kong, Simpang Lima, Kawasan Kota Lama (Old City Area), and Kampung Pelangi (Rainbow Village) are some “must visit tourist destinations”.